The old MAS certificate used SHA-1 (secure hash algorithm 1) cryptography. 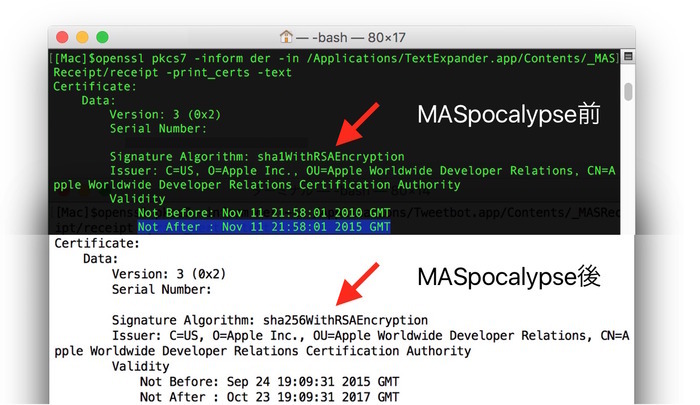 Before it expired, Apple issued a new certificate, but one using SHA-2 (secure hash algorithm 2). This was supposed to be transparent, but once the old certificate expired, some people began experiencing problems. SHA-2 support in OpenSSL has been kicking around since 2005, so it’s really in everyone’s best interests to use it.